Manchester United traveled to the Camp Nou with the impossible in their mind once again. United had never beaten Barcelona at the Camp Nou, even though the Stadium has been the site of one of the club's most historic nights. But on Tuesday, Solskjaer's men had to create history themselves and win against Barcelona to progress into the Semifinals. The Red Devils had succumbed to a 1-0 defeat in the home leg of the tie and as such, had another mountain to climb. 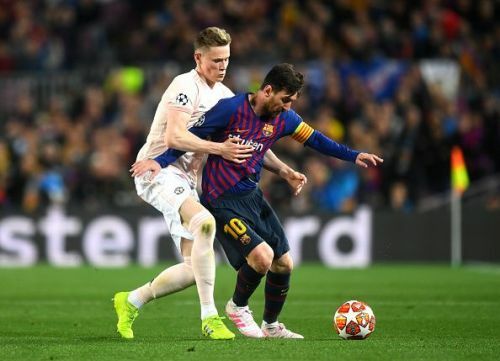 But with Lionel Messi leading the opposition charge, Solskjaer knew that it was going to be a tough task. Yet, the Norwegian was pretty aggressive in his team selection, even ditching the back 5 for a more traditional back 4. Solskjaer started with De Gea in goal, with Jones, Smalling, Lindelof, and Young as the back four. In the middle, McTominay returned to join Fred and Pogba, while the front three comprised of Lingard, Rashford, and Martial. United started the game on a bright note and could have even scored the opening goal, had Rashford been a little more composed. However, Barcelona took over the reins in time and took the lead through Lionel Messi in the 16th minute. 4 minutes later, the Argentinean had doubled Barcelona's lead, although with a helping hand from De Gea. United failed to improve their performance in the second half and in the 61st minute, Coutinho made it 3-0 and took the game away from United. 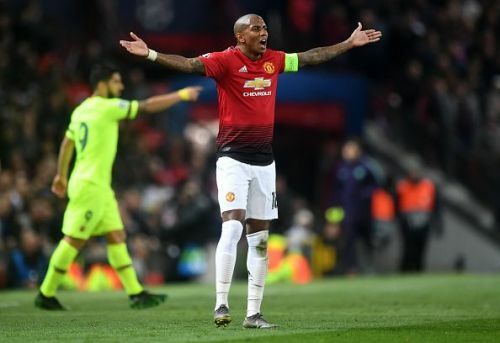 Manchester United had a night to forget at the Camp Nou, but these 5 players were especially poor and cost the Red Devils the game. The youngster had been one of the standout performers in the home leg. Even though United had lost the game, Scott McTominay had impressed with his all-round performance. As such, his inclusion in the team was justified. The youngster was expected to continue his good form alongside Fred, but on the field, what happened was entirely different. McTominay started the game well and even found himself in the box in the opening stages. However, as United failed to find the opening goal, the youngster went missing. Fred was overpowered in the midfield because McTominay was always out of position. The youngster was far from the dominant force in the midfield that he was expected to be. Instead, he had a night of meek surrender, where he neither had an impact going forward nor did he help his defenders out.